In this edition of Weekend Watch, we’re taking a look at M. Night Shyamalan’s latest film, Glass. While we focused mostly on Unbreakable & Split in the previous column, this week’s installment will will cover the making of Shyamalan’s latest film. Up first, we have a duo of featurettes, followed by six clips from Glass and a scene breakdown from Shyamalan himself. Additionally, there are a few interviews with the director and cast, along with a lengthy B-roll straight from the film’s set. Finally, we’ll shake things up a bit with an interesting video that questions whether Glass is relevant today. Up first, we have a pair of featurettes that give us a quick tease into the making of Glass. This first comes from Universal, and takes “a look inside” one of the film’s new characters – Dr. Ellie Staple. Nothing too riveting here, but if you’re new to the franchise or are just looking for some quick insight into the story of Glass, this is the perfect video to watch. The second featurette comes from Movie Roar, which quickly touches on Shymalan’s journey through the trilogy of films. Aside from discussing how Unbreakable was – in many ways – ahead of it’s time, the video also covers why this unlikely trilogy took nearly two decades to complete. Additionally, it emphasizes the connections between all three films, along with some of the ambitious themes that are explored in Glass. This great video from Flicks And The City collates all of the Glass clips that have been released prior to the film’s premiere. There are some pretty major spoilers in here, so once again be cautious if you want to stay fresh for the movie itself. The most interesting thing is that all but one of these clips primarily focus on James McAvoy’s sublime performance as the Horde. In this scene breakdown from Fandango All Access, Shyamalan guides us through one of the most impressive scenes in Glass. As the director points out, the whole scene was shot in one continuous take using a steadicam. In addition to showcasing James McAvoy’s ridiculously impressive performance in the film, the director shares some insight on the inspiration for Kevin’s twenty personalities, which appear in Glass. Additionally, Shyamalan discusses his approach to blocking the actors in the scene, which is something he considers a lost art among modern filmmakers. The first interview comes from Movie Roar, and it fetaures Shyamalan talking about the way he brought the characters to life in Glass. Although some of this interview was featured in a previous video, this clip features additional content that wasn’t available before. The next video, also from Movie Roar, has Sarah Paulson speaking about her role in the film. The actress discusses the character’s interpretation of good and evil, along with whether she sees Dr. Staple as a hero or villain. Paulson also touches on working with Shyamalan and her thoughts on the film. Finally, we have lengthy video from FOX 5 DC that features a series of interviews with almost the entire main cast of Glass. In addition to Shyamalan and Paulson, James McAvoy, Samuel L. Jackson, Anna Taylor-Joy, and Spencer Treat Clark also get a chance to talk about the film. This lengthy B-roll provided by FilmisNow gives us a fly on the wall look at the making of Glass. There are many details to dig into with the video. Surprising, the production feels intimate. 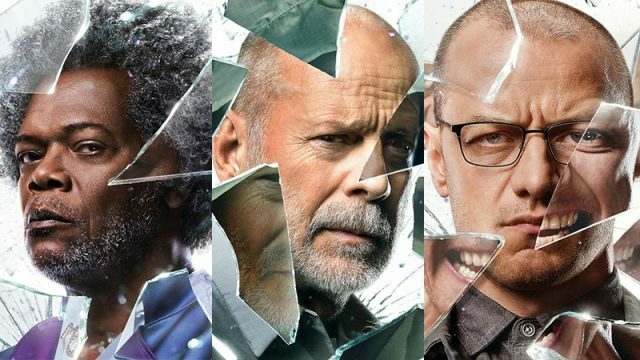 The budget for Glass was roughly $30 million, which is a little under half of what Unbreakable cost to make. Despite this, the small scale ultimately serves Shyamalan’s shooting style. Additionally, we also get to see Shyamalan working with the film’s actors, and the way that the action scenes were crafted. Finally, we’re mixing things up a bit with a video that asks a very engaging question – is Glass relevant? The video essay, which comes from Now This Nerd, explores this very idea in detail. The first film was truly ahead of the superhero movie curve, which the video fails to mention. However, they also make several good points about whether Shyamalan’s latest film has something to offer the genre. What do you think about the Glass videos? Make sure to let us know in the comment section below!